Tulsa Criminal Defense Attorney BlogIn Oklahoma, Is It Better To Stay In Jail And Await Trial? If you have been arrested on criminal charges in Oklahoma, depending on the nature of your charges, you may be given the ability to bail yourself out pending trial. However, for a variety of reasons, you may think it’s better for you to stay in jail until your trial. This article explores whether it is better to stay in jail and await trial or be bailed out. There are a variety of reasons why you may choose to remain in jail pending your trial. For example, if expect arraignment within a day or two after your arrest, and you expect to be released on your own recognizance, you may be willing to put up with a couple of days behind bars. You may also wish to take advantage of the fact that Oklahoma grants a defendant credit for time served before trial, which can significantly reduce the length of your sentence if convicted. Lastly, you may not be in a financial position to post bail, because you can’t afford it or you do not want to strain your family’s finances. Despite the reasons above, it is almost always better to bail yourself out. Firstly, the decision to stay in jail should not be taken lightly. 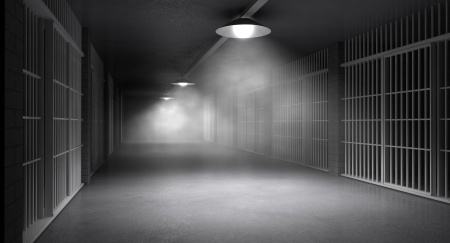 Jails are not nice places and after you are stripped, given a full body cavity search and then housed in cramped quarters with people of questionable character, you may soon regret your decision. Often, those who are in jail pending trial have to deal with much worse conditions with less access to services than those who are incarcerated after being convicted and sentenced. Secondly, if you decide to stay in jail because you expect to be convicted and receive jail time, you might be mistaken. A variety of things can happen to turn your trial around; for example, the witnesses against you might not show up or choose not to testify, or the evidence against you may be deemed inadmissible. Furthermore, even if you are convicted, it is not a certainty you will receive jail time. The jails are overcrowded these days, and it is not uncommon for offenders who might normally be incarcerated to be released to serve their sentences in the community instead. Third, being free will allow you greater access to your attorney, who can then meet with you as often as necessary to prepare your defense to keep you out of court and out of jail. In addition, bailing yourself out will allow you to resume your day-to-day activities to get your affairs in order for the potential result of being sentenced to time behind bars and away from your family, job or business concerns. If you have further questions regarding whether it’s better to stay in jail and await trial in Oklahoma, contact an experienced Oklahoma defense attorney. The Oklahoma criminal defense attorneys at Jury Pro are ready to answer your questions. Call (888) Jury-Pro or (888) 587-9776 now to speak with an Oklahoma attorney today.